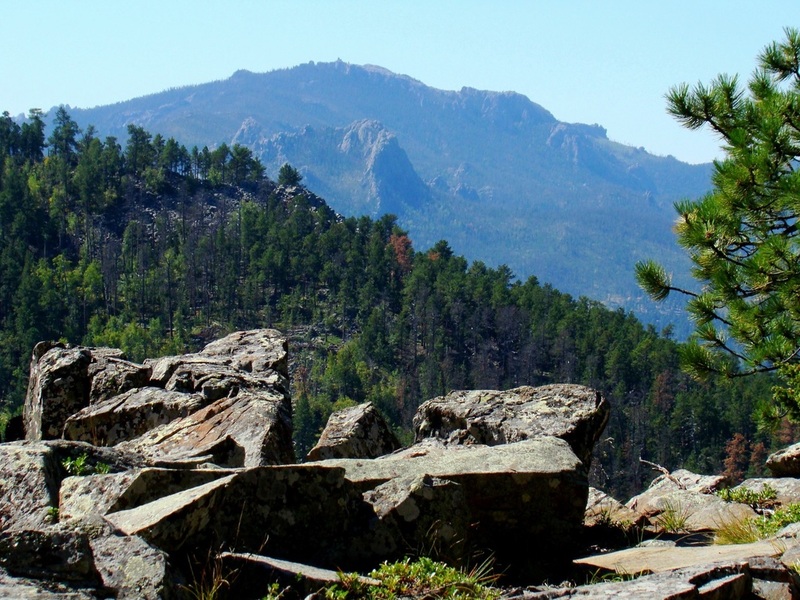 Another of my favorite summits in the Black Hills is Mount Warner. 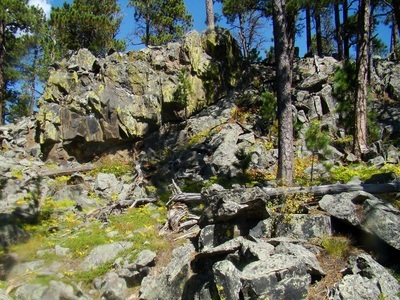 Though it only shows up as “5889” on many maps, the guidebook “Exploring the Black Hills and Badlands”, by Hiram Rogers, refers to the summit as Mount Warner. This name also shows up on the book’s maps. Mount Warner is the highpoint on the 111-mile Centennial Trail. This section of the Centennial Trail is mostly shady, making for pleasant hiking spring, summer and fall. 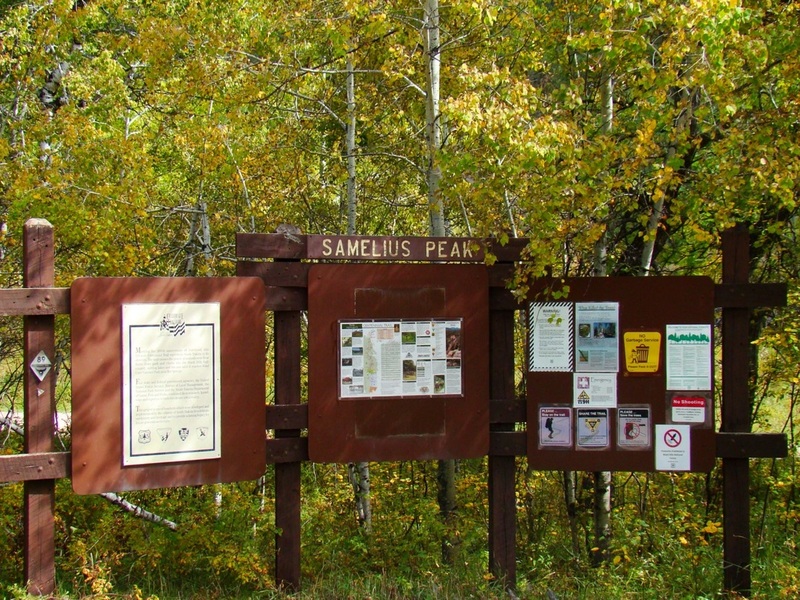 While Mount Warner can be accessed from the north, by the trailhead at Sheridan Lake, most hikers access the summit from the Samelias Trailhead along Highway 16, six miles east of Hill city or 18 miles west of Rapid City. 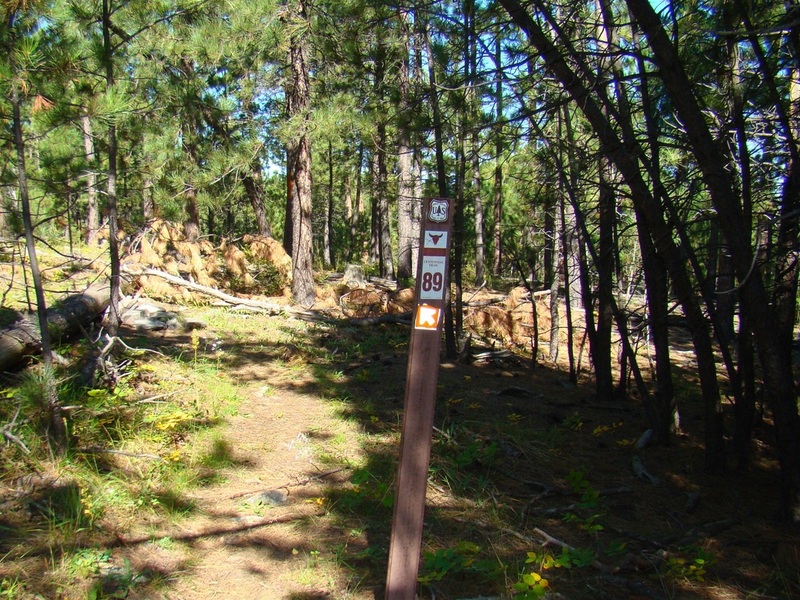 The trail uses a little bit of old 2-track forest roads, but is mostly a narrow single-track trail. It is approximately 3.3 miles from the trailhead to the summit, taking you almost 800 feet up from your starting altitude. 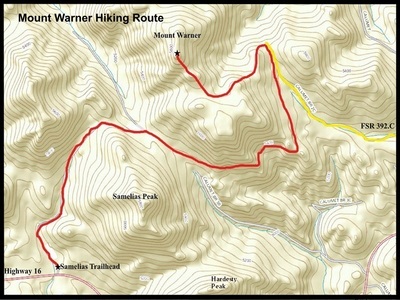 A route map is included in the photos below. 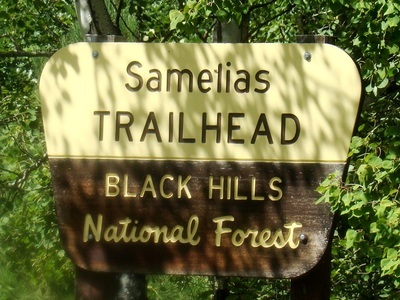 Hikers will likely encounter some deadfall along the route, due to pine beetle kill and the effects of Winter Storm Atlas. The route circles the slopes of Samelias Peak, along with its boulder fields and aspen groves. These aspen make fall hikes very colorful. While there are many trees at the summit, the numerous rock outcroppings still give visitors many photo opportunities, including Black Elk Peak, Elkhorn Mountain and Samelias Peak.